One of the handiest features of Total Connect is the virtual keypad which can be used just like the real keypad in your home. Realize when you are halfway to work that you forgot to set your system? 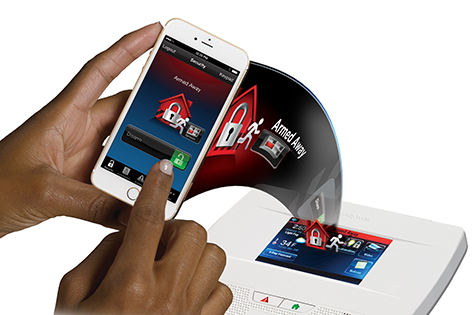 Total Connect can access your keypad through an encrypted connection to your system, so you can arm it without having to return. When you cannot be home, having the virtual keypad also makes it possible to allow people (such as babysitters or housekeepers) into your home without giving them your security code. Or, use it to verify that the kids armed the system when they came home from school. You can also use Total Connect services to control your thermostat, lights, locks and doorbell. Easy-to-use and highly customizable, with Total Connect you can set up texting and/or emailing when certain events occur in your home. You can choose to receive notification when there is a power failure, low battery or arm/disarm of the system. Used in conjunction with heat, temperature or water sensors, Total Connect can alert you to potential problems like floods, temperature changes or fire. 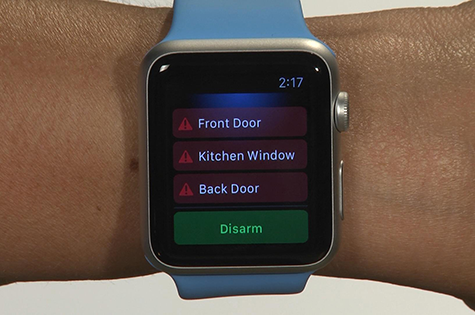 You can even set up notification for asset protection devices used on liquor, medicine or gun cabinets to warn you when they are opened. With the addition of cameras, Total Connect can be even more useful in securing your home. You can view live, streaming video from Total Connect cameras, ideal for keeping an eye on kids, pets, and elderly or ill family members. Log in to see if that package you’ve been waiting for has arrived or make sure the kids are doing their homework. You can set up notification to receive email of video clips and still shots of events at home. If you know your elderly mother is usually up and around by 9am, you can receive a video of her when she passes by the camera in her hallway. Total Connect services can also be added to GPS asset and vehicle trackers. Households with young drivers can benefit from the speed alert function that will notify parents when a pre-determined speed is surpassed. 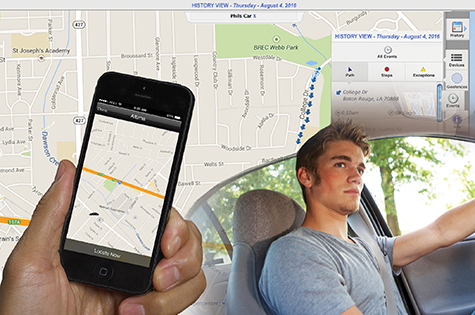 The geofencing function will alert parents when the driver goes outside the defined “safe area”. The Total Connect app can also provide “breadcrumbs” with pings every 5 minutes, useful when communication by cell phone is spotty. Vehicle trackers can also give peace of mind to those wanting to keep an eye on elderly drivers. Use asset trackers with the GPS function to protect ATVs, trailers, and landscaping equipment.